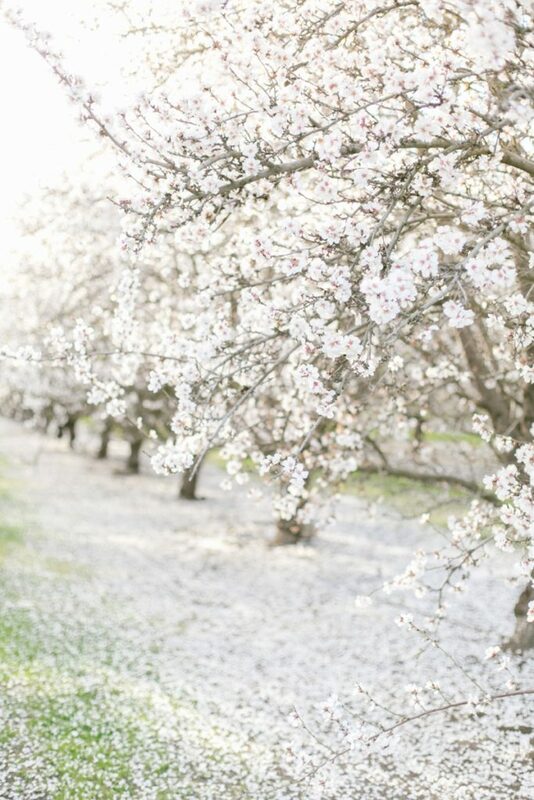 Every February the Almond trees in and around the Central Valley start sprouting tiny little buds. 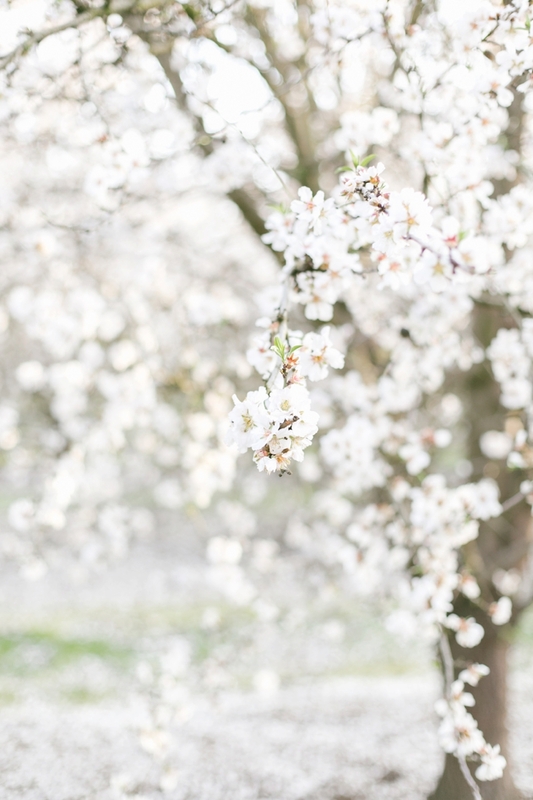 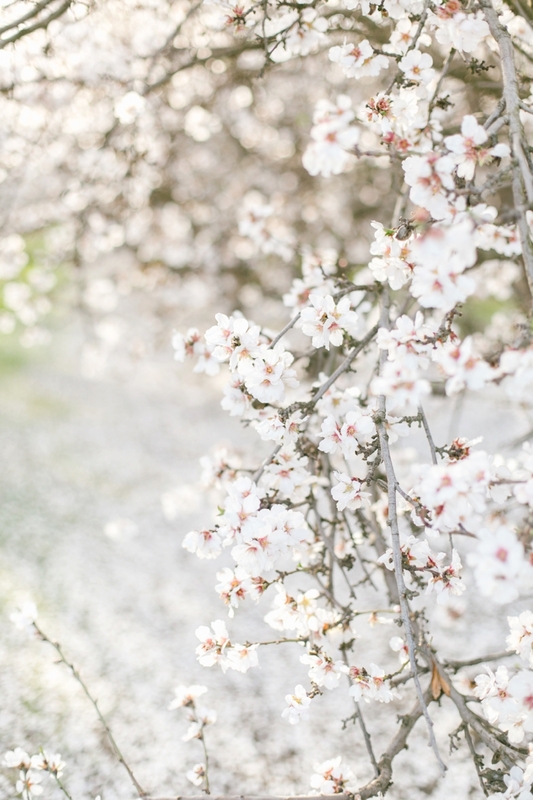 These buds turn into the most beautiful blooms and the orchards become these magical, white pieces of heaven (well, to me at least). 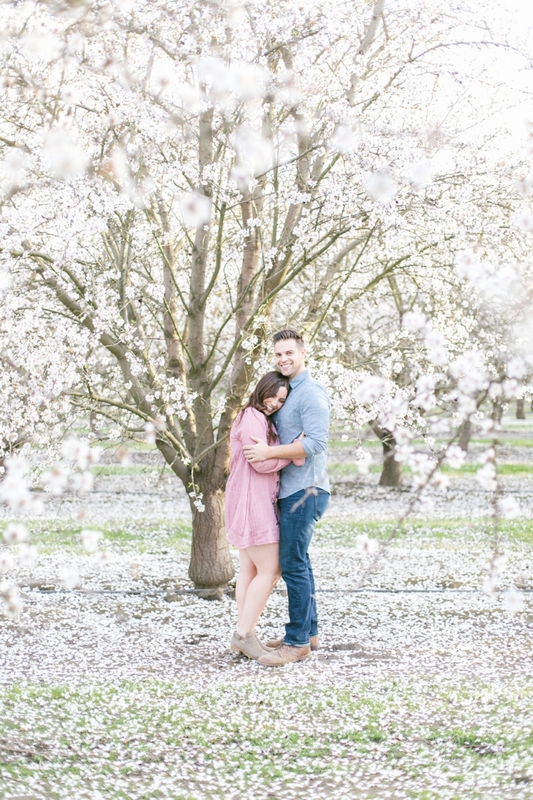 I love this time of year and driving around town and seeing the blossoms always makes me so happy. 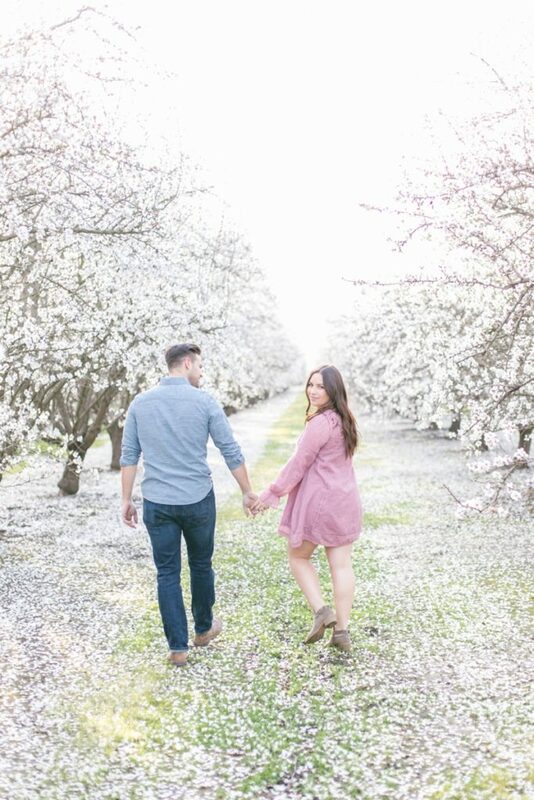 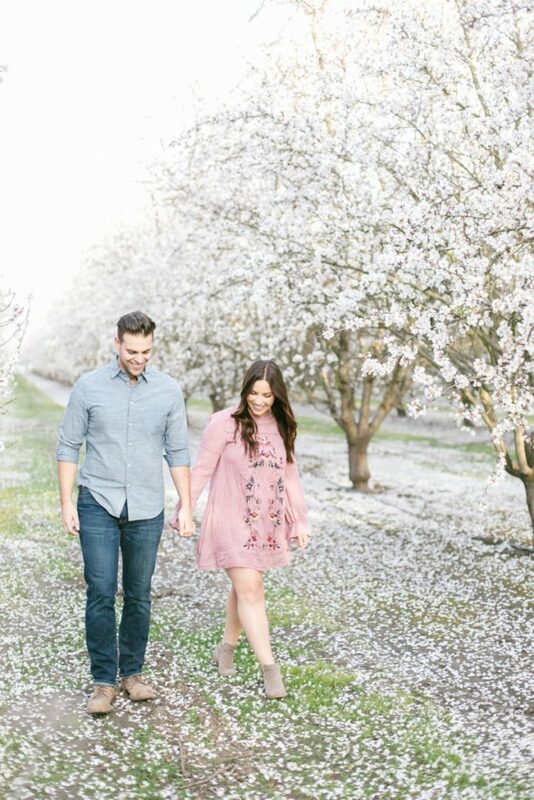 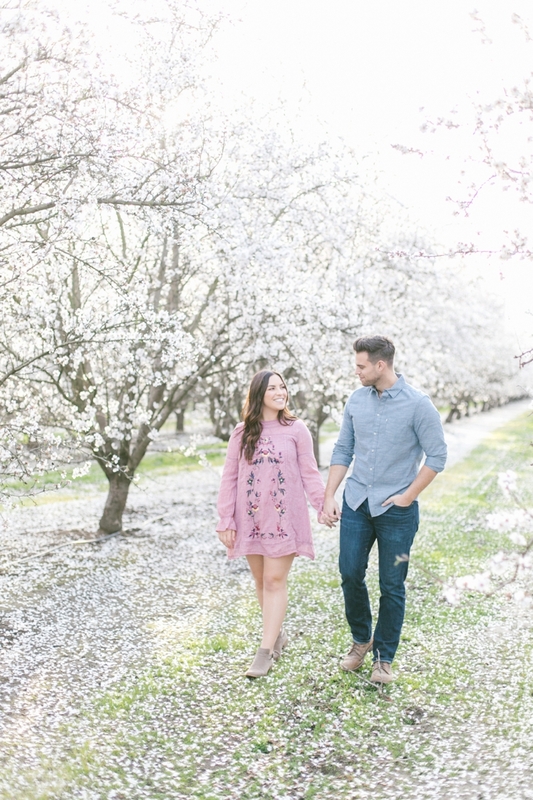 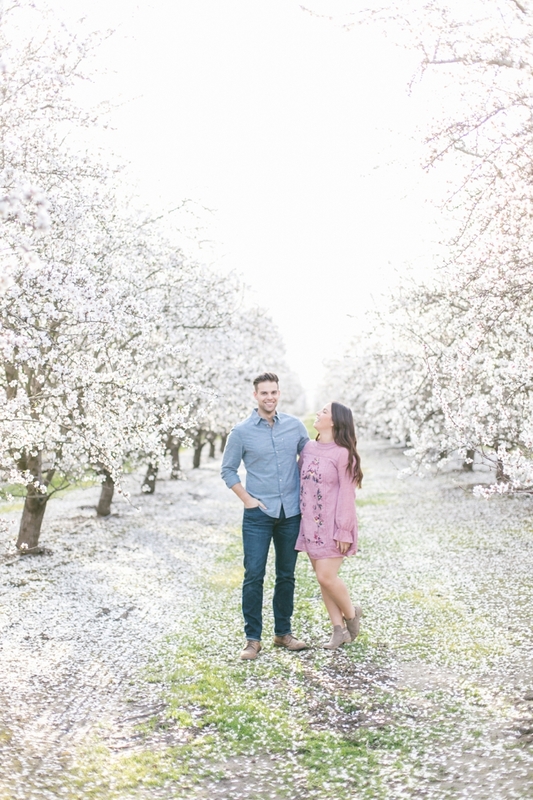 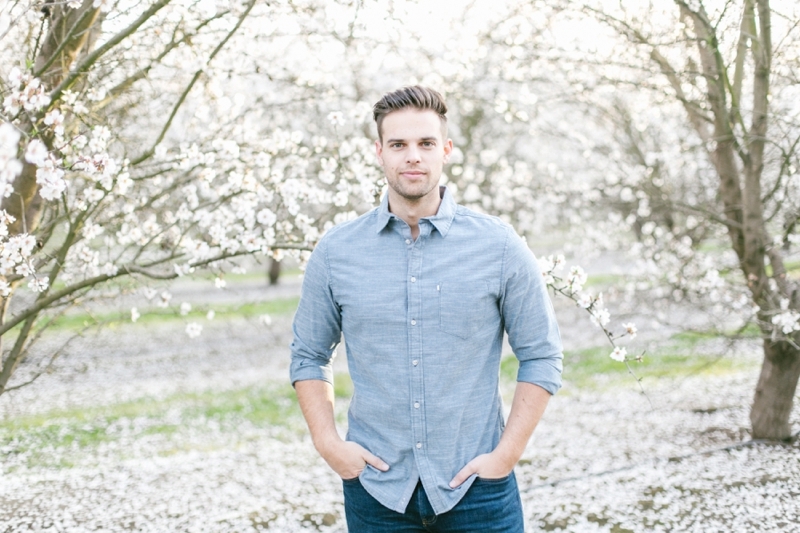 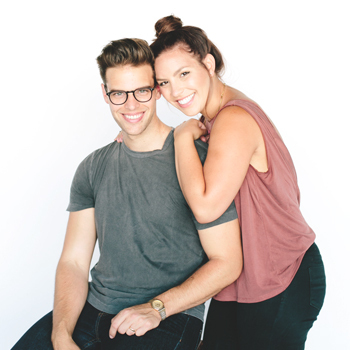 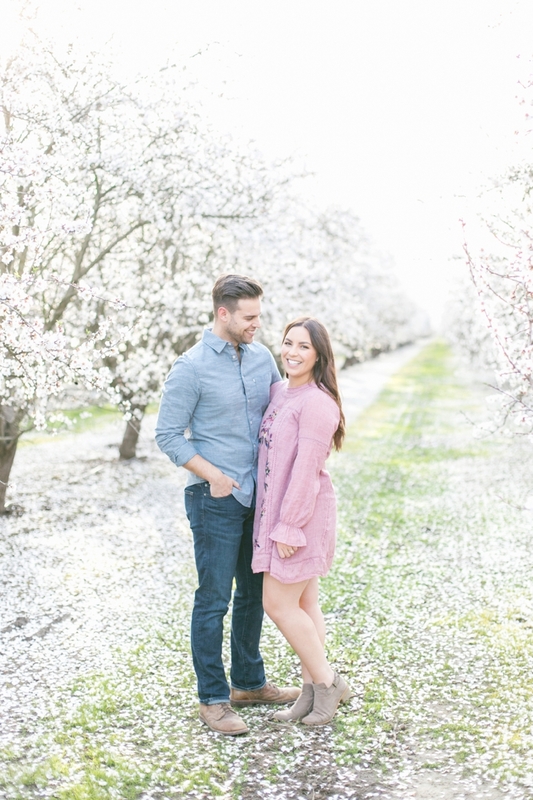 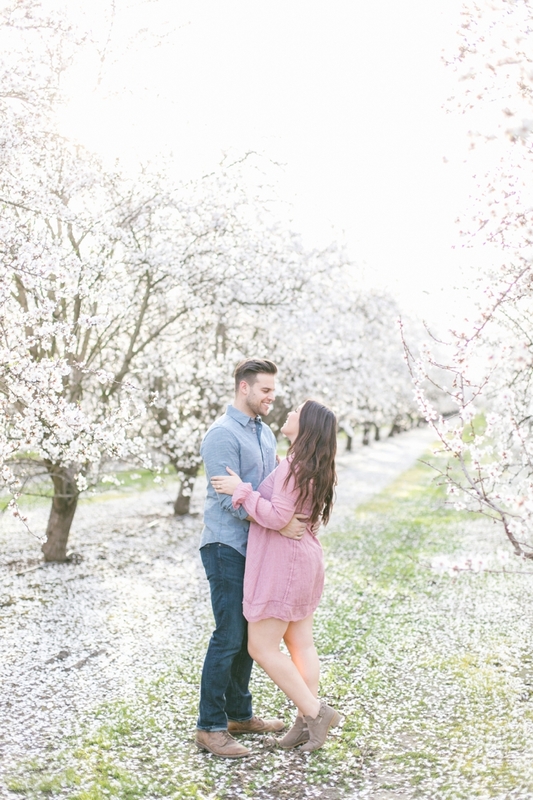 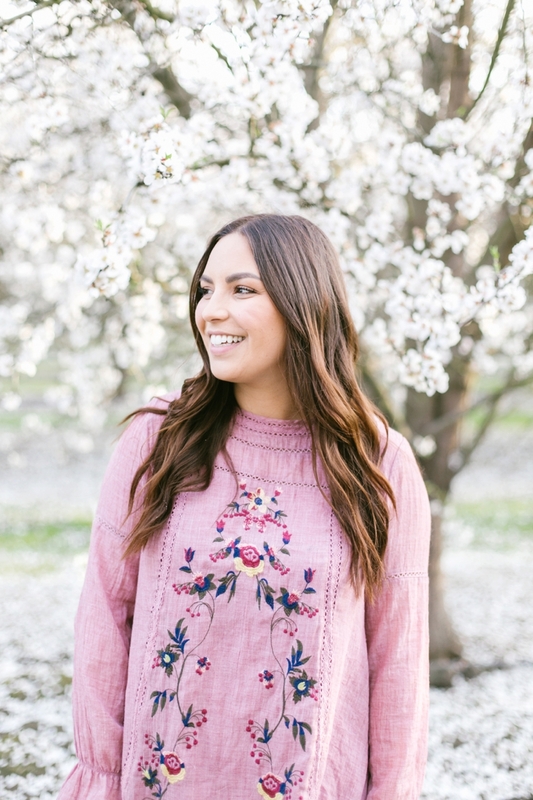 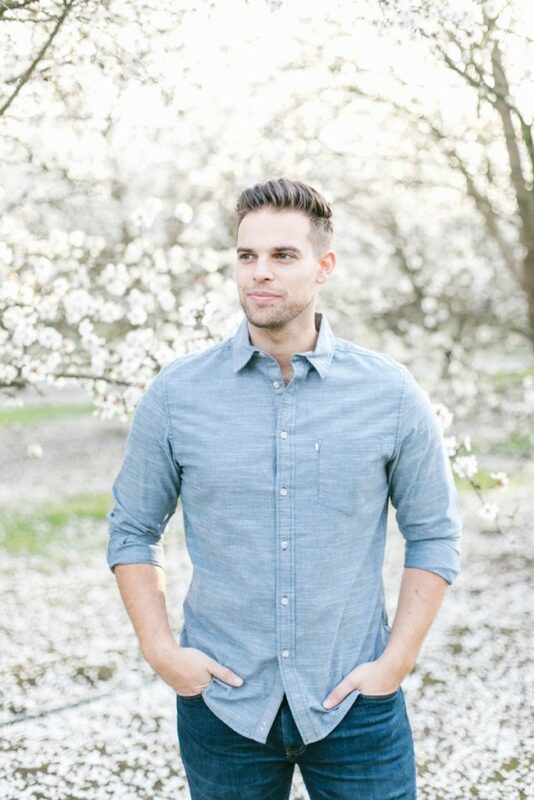 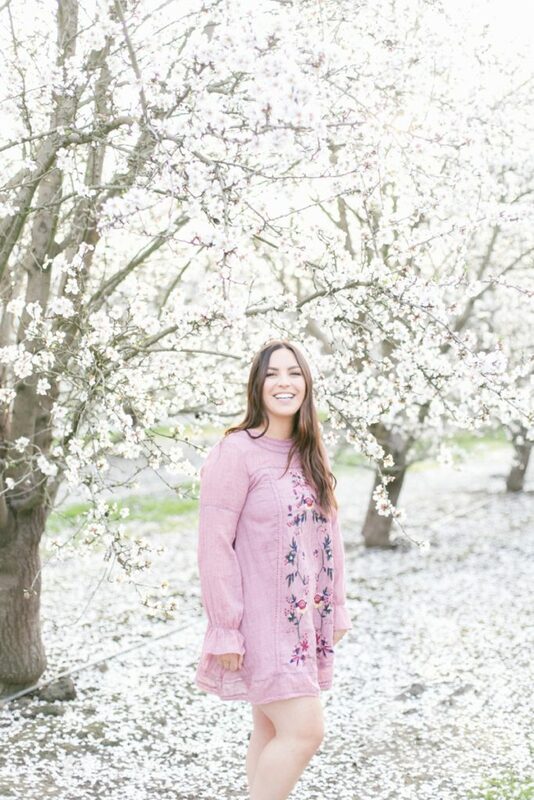 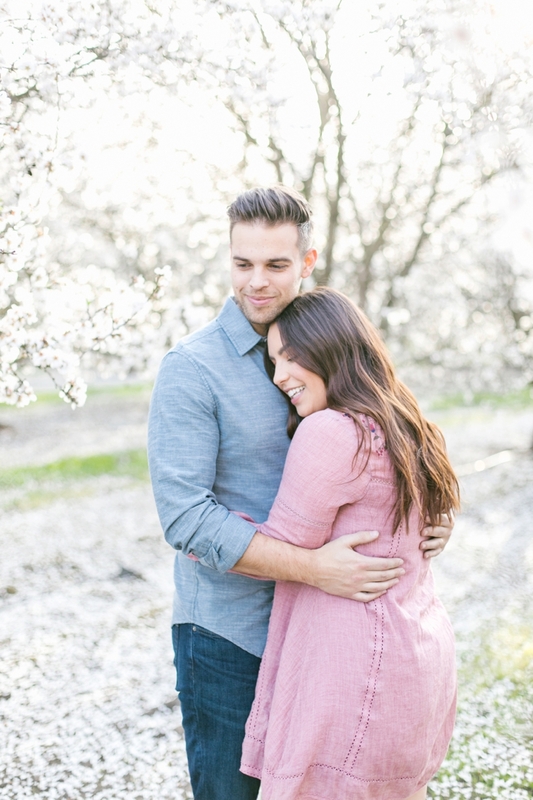 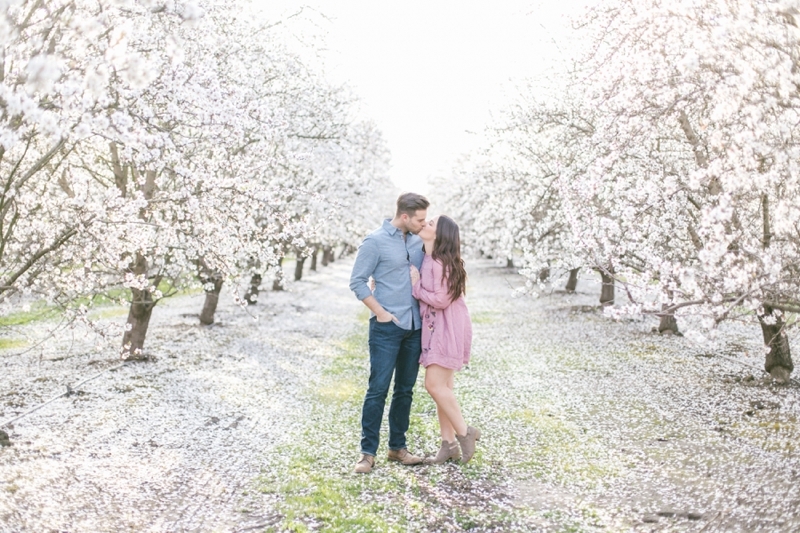 They last three weeks, tops, so I was thrilled to finally have an afternoon free to have our talented friend Lauren Westra snap a few photos of Adam and I in the blooms. I will treasure these photos, Lauren! 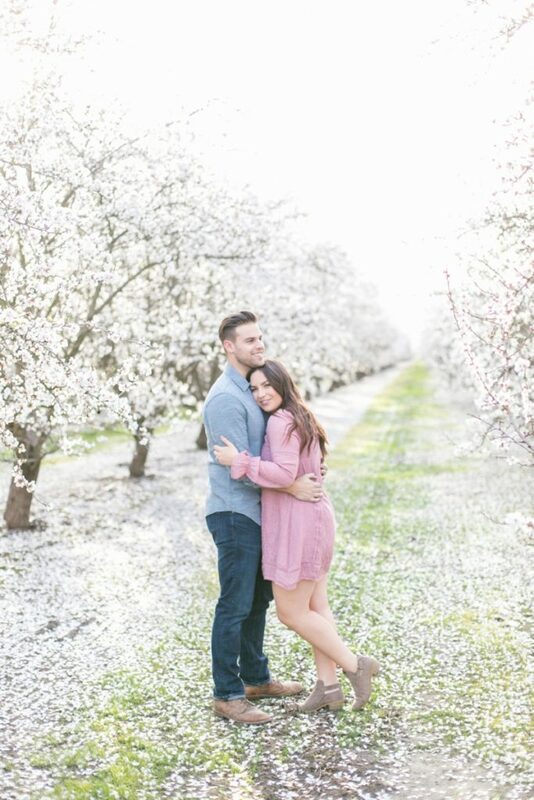 Thank you so much for taking the time to help make these memories for us!